I see that there is different Smart Things hubs, what one should I purchase? What version is the best? I’m looking to use the new system for security as well as home automation. 90% of my iris hardware will work with Smart Things. I too am an Iris orphan pending my redemption card. I have been doing lots of question asking, and comparing between systems. So take with reading this the caveat that I make no claims of being expert with this, simply trying to share my understanding of what I have learned so far. My answer is going to have to be a qualified one. It depends on your Iris setup, what your goals with Smartthings is, and how much of your Iris system you are carrying over. As you know, Iris was dependent upon your web connection to the cloud, and was a pretty good self monitoring system, the major differences between Iris and the “regular” smartthings system is that Iris supports a keypad for arming / disarming, and Iris has / had avaialble cellular backup. If you were happy with Iris and were not using Cellular failover, the regular smartthings hub / system is probably your best bet to get the most usage out of your existing Iris sensors and accessories. There are some add ins to the regular smartthings system that allegedly will allow you to use your keypad as well. the ADT Smartthings adds cellular backup ability via a SIM card that would come with ADT services. The ADT Smartthings hub also has a touch screen / keypad for arming / disarming. However the sensors, smoke detectors etc… for the ADT Smartthings are propriatary and your Iris components can not be used to trigger the ADT Alarm service. I haven’t seen if I can add my Iris keypad as a secondary for the ADT Smartthings system, I am hoping so. 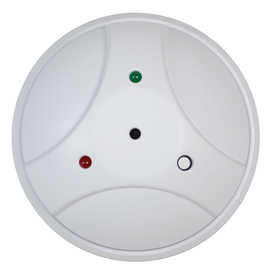 For BOTH systems, you can integrate the Utilitech indoor sirens (good thing). Configuration to work with a triggered alarm might be tricky, but not impossible. There is no support of any sort for glass breakage sensors. I am in a slightly different situation from you. Almost all of my Iris was first generation. I have 2 contact sensors, and 1 motion sensor that I will carry over, and my Utilitech sirens, that’s it. WIth that in mindI can honestly say it doesn’t matter that much if I simply orphan my sensors and go with whatever. So I am probably going to go with the ADT Smartthings hub and proprietary sensors. I had my system to the point where I was almost ready to add the smoke / CO2 detectors and go with the paid / pro service. I am opting for the Ring video doorbell, and a pair of Ring spotlight cameras to replace my Iris cameras. I had 5 first gen, and honestly, 2 of them ended up being pointless, the 3 indicated cover all access points that wouldn’t require either tunnelling or climbing through rose bushes, at which point the intruder would be caught by motion sensors. Not to mention the location of those cameras caused some privacy concerns for my neighbors. (Sides of the house. The houses are about 10’ apart). I too am in the same shoes and is currently transitioning to SmartThings. I have found out that the gen 2 keypads will work after a custom device handler and smart app is installed. 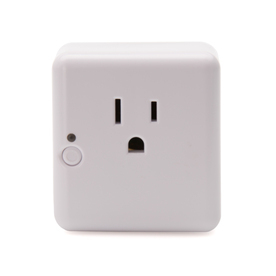 Also the gen 2 smartplugs will work doing the same thing. Spend some time reading about the IDE environment before you jump into it. I did not which meant I had to redo several things before the devices would work. I have found that creating scenes and automations is easy, Reminded me of the gen 1 interface on a mobile device. There are glassbreak sensors that will work with custom code and you can do self-monitoring with them. They cannot be used to trigger calls to the ADT monitoring center, though. I am a Iris orphan and just got my hub up and running last night. I went with a regular hub for boat, and a adt hub for the house. I have not worked with the adt hub yet. I am confused. Will the IRIS 2 gen KEYPAD work with Smartthings, eventually? I DO NOT though have the ADT hub, just the regular one. With the right device handler it works perfect. I paired up two last week. Do you have ide and Github configured? That is where you start. There is a lot of material to take in and it can be overwhelming.